This is a PDF that contains a total of 11 pages: 1 cover page, 5 pages of Task Cards/Exit Tickets [4 on each page] and 5 duplicate pages with answers. 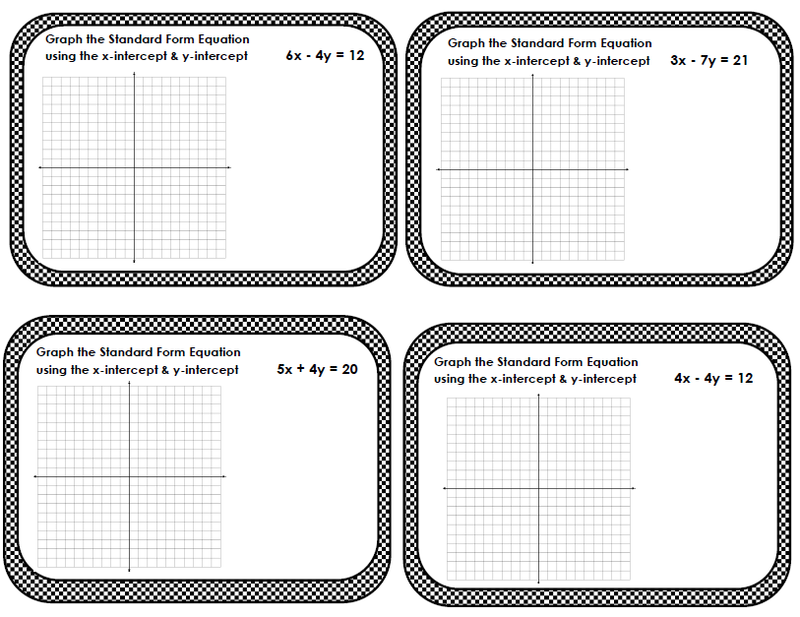 These Task Cards/Exit Tickets are designed to assess the students understanding of graphing Standard Form Equations by calculating the x-intercept and y-intercept. The answer key for each problem is included. 1) I have cut them apart and laminated them. Then during guided practice, I give each student (1) card and a dry erase marker. The students answer the problems independently and then I walk around and check answers. 2) I have used the laminated cards as task cards for early finishers and/or extra credit. 3) I have used them as Exit Tickets/Formative Assessments at the end of class. 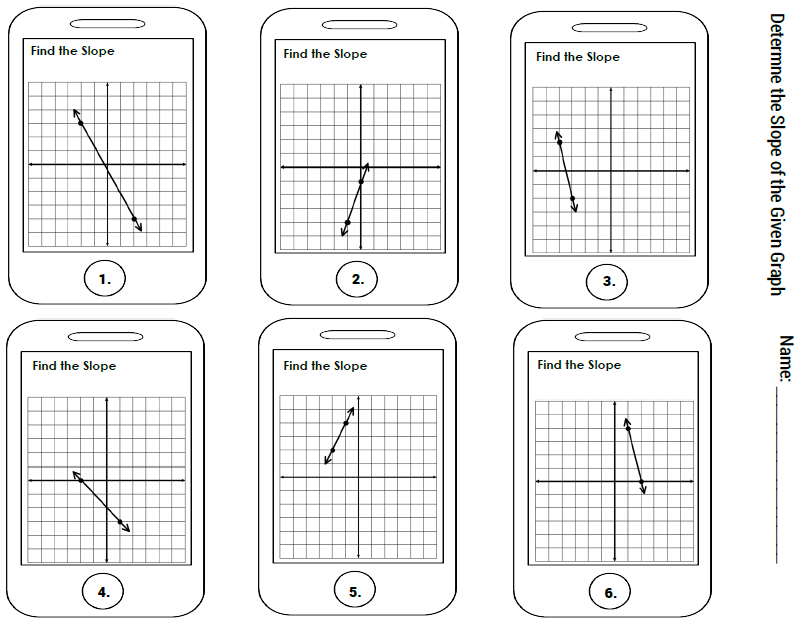 This is a PDF file (4 total pages includes answer key) that contains 12 cell phone themed problems (2 pages - 6 problems on each page) that require the student to determine the Slope from a graphed line. This item is designed to be versatile in that the document can be used as a worksheet, it could be cut into Exit Tickets or laminated then used as Task Cards.